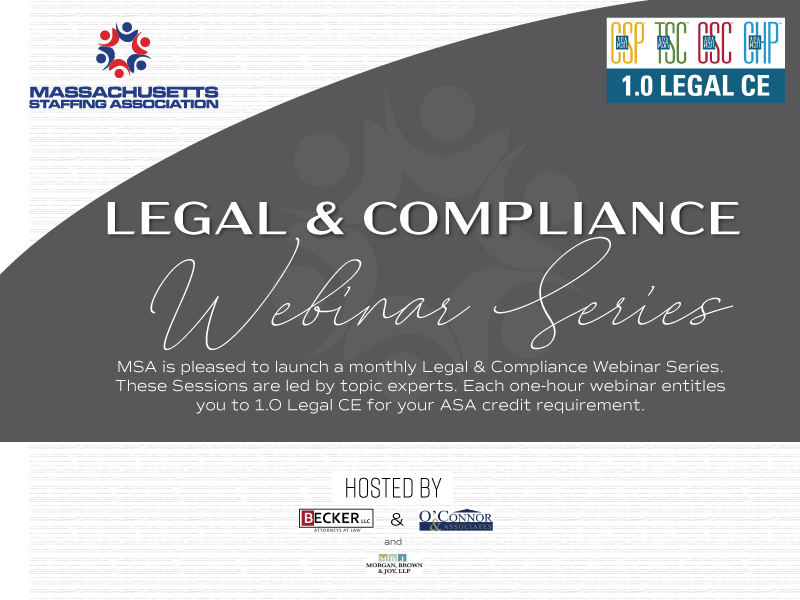 « MSA Legal & Compliance Webinar Series:What Went Wrong? Employee Leave rights in Massachusetts. Massachusetts employees are protected by an array of leave laws that give them rights to time off from work for the birth or adoption of a child, to take care of seriously ill family members, to recover from their own serious illnesses, or to take care of routine family responsibilities. Each law has certain qualifications, covers different conditions and employers of different sizes. The Family and Medical Leave Act (FMLA) guarantees up to 12 weeks of unpaid leave in addition to the Massachusetts Parental Leave Act (MPLA) allows covered employees to take up to eight weeks following the birth or adoption of a child. The state Small Necessities Leave Act (SNLA) allows workers to take up to 24 hours per year off from work to go to their child’s education-related school activities, or to accompany a child or elderly relative to medical or dental appointments. These are supplemented by Massachusetts’ landmark Paid Family Medical Leave (PFML) law Paid which establishes a sweeping paid family leave system. Meanwhile the Americans With Disabilities Act (ADA) may create additional obligations to provide accommodations. Learn about the interactions of these leave laws and how to avoid the numerous potential legal traps for the unwary.